Klopp: "Still in love with BVB"
Dortmund - There are no two ways about it: Jürgen Klopp and Borussia Dortmund are a perfect fit. The 46-year-old has held the post of head coach at Signal Iduna Park for over five years, and on Wednesday signed a contract extension that will keep him in the job until the summer of 2018. The Stuttgart-born former defender has been synonymous with die Schwarzgelbe’s recent successes, leading them to the Bundesliga title in 2011, the league and DFB Cup double in 2012 and the UEFA Champions League final in 2013. One of Europe’s most gifted tacticians evidently still believes there is a lot more to achieve with BVB, as he explained in an interview with Germany’s SID press agency. Question: Jürgen Klopp, your contract was due to expire in 2016; now you have extended it until 2018. What moved you to make this decision? Jürgen Klopp: What gives me the most pleasure here is the trust that has been placed in me. It’s remarkable to extend a contract, that already has over two and half years to run on it, by another two years. I suppose I just still have a huge desire to help this club grow and lead it on the path of success. Question: There has been interest is you from some of Europe’s top clubs. Why have you stayed with Dortmund for so long? Klopp: I signed the extension as a way of telling everyone that in the next five years, there’s no point in any club contacting me. It’s an honour that there are clubs that admire the work we are doing here, but I can safely say I’m not one of those people who constantly wonders if the grass is greener on the other side. Question: You said a number of years ago that you really felt at home in Dortmund, and especially working at Borussia. Was this also a reason to extend your stay? Klopp: Borussia Dortmund has become my club. They’re not empty words when I say that in life it’s important to be in the right place at the right time. And for me, Dortmund is the perfect place to be. Question: What ambitions have you based this decision on? Klopp: We’ve written an exciting story together, perhaps the most exciting and emotional football story of the last few years. And I don’t yet feel that the next chapter has to be the last. We’re all so pleased that we can help this team, which is still a long way from reaching its peak, to develop. We want to shape the future of this wonderful club together. 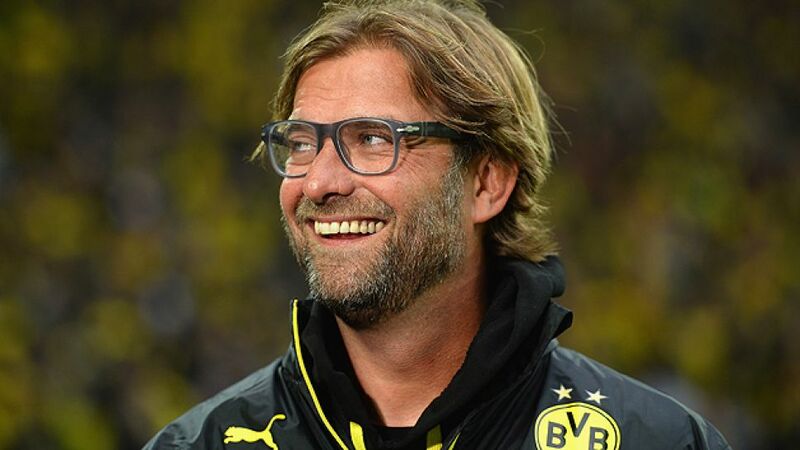 Klopp: We’re all still slightly in love with BVB, and with how things are done here. Last season were ranked the 28th best team in Europe and we still managed to reach the final of the Champions League. That’s as sure a sign as any that there is something amazing about this club.